The Old School: In the street “Calle Poeta Trujillo Armas” in Agulo, opened an restaurant on 20th of April 2003, named “La Vieja Escuela”. The name was given by Don Máximo, one of the teachers of the former school, founded in 1927. A school “only for children.” In 1968 the school moved to the current place where the Colegio is now. 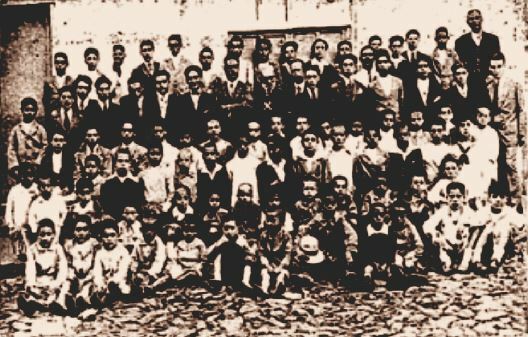 Class with Don Leoncio Bento Casanova, the founder of the school, that was an example for other villages at this time.